MULLOCK, JOHN THOMAS, Franciscan priest, Roman Catholic bishop, writer, and educationist; b. 27 Sept. 1807 in Limerick (Republic of Ireland), the son of Thomas J. Mullock and Mary Teresa Hare; d. 29 March 1869 at St John’s. Eldest of 13 children of a wood-carver and manufacturer of church furniture, John Thomas Mullock was sent by the Franciscan Order at age 16 to study at St Bonaventure’s Convent, Seville, Spain. He joined the order in 1825 and completed his education at St Isidore’s College, the Irish Franciscan seminary in Rome. 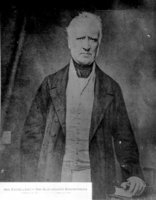 By special dispensation he was ordained priest at age 22 and returned to Ireland in 1829 to serve for 14 years as pastor, in Ennis, County Clare, in Dublin, and in Cork, and as recruiting agent for the colonial bishops. 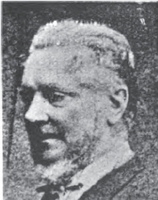 In 1843 he became father guardian of the Franciscan convent in Dublin, where he served until he was offered the position of coadjutor with right of succession to Bishop Michael Anthony Fleming*, the ailing vicar apostolic of Newfoundland, who had personally requested Mullock as his successor. Consecrated in Rome on 27 Dec. 1847, Mullock arrived in Newfoundland on 6 May 1848. 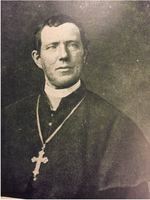 Before Mullock’s arrival the see of Newfoundland had been erected and Bishop Fleming had become a suffragan of the archdiocese of Quebec. In 1850, on the advice of Mullock, Fleming successfully pressed for independence. That same year Fleming died and Mullock succeeded him. In May 1856 Mullock secured the creation of two dioceses, St John’s with Mullock as its bishop, and Harbour Grace, with John Dalton as bishop. The St John’s accounts published in 1856 showed a large and steady diocesan income. In 1851 Mullock had founded St Michael’s Orphanage, and in 1857 he opened St Bonaventure’s College in St John’s, a Roman Catholic institution to provide a classical education “on the Irish model” for middle class Newfoundland boys and to serve as a seminary for an indigenous priesthood. In 1855, after 14 years of construction, the Cathedral of St John the Baptist was consecrated by Archbishop John Hughes of New York who laid the foundation stone of St Patrick’s Church in St John’s. Mullock built a new palace, an episcopal library, 11 new convents, and numerous churches, five of them in stone. 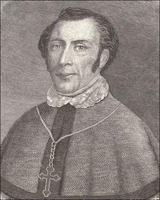 Mullock had inherited the powerful position enjoyed by the Roman Catholic Church in Newfoundland under Bishop Fleming. It had a privileged position in education, as it had schools under its own control but financed by the state, whereas the Church of England had to share schools with the Methodists. Fleming’s church had garnered considerable popular support and increasing political power. Inspired by the spirit of Daniel O’Connell, whom he greatly admired, Fleming had openly interfered in politics, using boycotts, excommunications, and clerical sponsorship of candidates to advance the cause of the Liberal party and wrench control of government from the mercantile and Anglican establishment. Increasingly the Liberals were dominated by the Roman Catholic Church which alone had the capacity to secure a mass vote. Yet the church felt aggrieved because the less numerous Anglicans had far more official patronage. The Church of England was growing in strength under its recently appointed bishop, Edward Feild*. It had launched theological attacks on Roman Catholicism. Moreover it had paid for its new cathedral out of a fund collected in Anglican churches after the fire of 1846 but which Roman Catholics asserted had been subscribed for all victims; they claimed they had not been compensated for the loss of a convent [see Molony]. Mullock himself was indignant at being refused the official salary which had been paid to Fleming as to other clergymen out of imperial funds, but which the British government in the 1840s had decided to cease granting on the death of incumbents. He felt insulted when the Colonial Office suggested that he put “Roman Catholic” in front of his title to satisfy Feild, who objected to another bearing the designation already held by an Anglican bishop, and it does not appear that he complied. In 1851, angry that the Anglican-dominated Legislative Council had removed him from his ex officio position on the Roman Catholic Central Board of Education, he threatened to organize a boycott of educational boards if he were not restored to office; he was reinstated. Personally a kindly, hospitable man, he was described by Lieutenant-Colonel Robert Barlow McCrea, commanding officer of the Royal Engineers at St John’s in the 1860s and a Protestant Conservative admirer of Mullock, as living in a “palace, fitted only for the residence of a plain, simple gentleman” with an “absence of worldly ostentation which commands unfeigned respect.” Mullock, however, would not endure any public insult to his church or official position and would not tolerate grievances suffered by his community. Unlike Fleming he did not regard himself as an Irish missionary to Newfoundland but strove to become a Newfoundlander: he brought his relatives to live in St John’s and he advocated better roads, steamship and telegraph communication with continental North America, and a native priesthood. Unlike Fleming also he was eager to receive native nuns and ordain native priests. He identified himself with his people and, with greater skill than Fleming, sought desired reforms by using his religious position for political ends. Roman Catholics quickly consolidated behind their bishop and the Liberal party. At a mass meeting in St John’s his letter was read to a cheering crowd, and responsible government at last became an issue which aroused excitement. With the bishop’s blessing Roman Catholic priests acted as election managers for the Liberal party. Mullock argued that because they paid taxes they had the same rights as any other British citizens to vote and canvass; nothing in civil or canon law prevented them from exercising political influence. The Pilot, a Roman Catholic newspaper, went further and suggested, probably with Mullock’s approval, that it was sinful to vote other than at the direction of the clergy. This spiritual suasion, exercised, however, without the public boycotts and excommunications characteristic of Fleming, helped to secure a solid Roman Catholic vote for the Liberals without alienating the Methodist Liberals who had the balance of power in some crucial electoral districts [see Benning]. In 1855 responsible government was won, and, following an election victory, Little became prime minister of an administration in which Roman Catholics had a dominant voice and the lion’s share of patronage. Mullock, nevertheless, was not entirely satisfied. An idealistic man, he was shocked to find corruption among Liberal politicians, who were expending road funds and poor relief not according to need but at the request of supporters. Early in 1856, in a private letter to the Board of Works, he complained that because of the poor state of roads in the colony the journey from St John’s to Placentia took as long as one from the Baltic to the Mediterranean and urged that relief and road fund money should be distributed only for work done. Although not intended for publication, the letter appeared in newspapers and speculation about a possible breach between Little and his most powerful supporter flourished. Mullock’s political strength was sufficient to secure the dismissal in 1858 of a legislative councillor, James Tobin*, who criticized him. He assisted the Liberals by naming candidates worthy of support, and under the leadership of John Kent* they won the 1859 election. But Mullock was becoming further disillusioned. He had thrown his influence behind the campaign for responsible government, helped the Liberals win elections, and spent time and energy keeping the party together, not for personal gain but for reform which he believed possible only through political action. Yet the politicians were using him to keep themselves in office while still neglecting the causes for which he had helped them, such as clean, efficient government, improvement of communications, and the curbing of excessive and politically motivated poor relief. The government, thoroughly alarmed, quickly made arrangements for local steam communication and early in 1861 introduced new poor relief regulations. Mullock expressed his support for these measures in a letter which Kent read out to the assembly. But Ambrose Shea and many other Liberals of native origin, who were less under the sway of the clergy than Irish immigrants, opposed the second reform because it would have taken away from them the right to distribute relief. They were helped by a crowd which entered the chamber and caused the suspension of the sitting. Kent bowed to popular clamour and withdrew his reform soon after the incident in the assembly, thus losing the remainder of Mullock’s confidence. This outburst frightened Protestant Liberals and alienated Roman Catholics who wished to be independent of clerical control in politics. Mullock appeared to equate Liberalism with Roman Catholicism and Roman Catholicism with the clergy. Methodists who had previously voted for the Liberals turned to the Conservatives, and many Roman Catholics refused to accept Mullock’s leadership. Tension was high on polling day. In Harbour Grace so great was the tumult that the magistrates refused to open the poll. In the district of Harbour Main the intervention of Father Kyran Walsh led to a clash in which the men of Cat’s Cove killed one man and wounded ten others [see Hogsett]. With no return for Harbour Grace and a contested return for Harbour Main, the election gave the Conservatives 14 seats and the Liberals 12. Neither side was sure of victory. Mullock increased the excitement by allowing the publication, just before the opening of the legislative session, of correspondence between himself and the governor. He had claimed in a letter that a man from Spaniard’s Bay had come to him for help because of “a body of armed men who wished to destroy the Roman Catholic Church and devastate all before them – as it appears a war of extermination is commenced against Her Majesty’s Roman Catholic subjects in this Colony.” When Bannerman rejected this story (it was subsequently revealed as a lie by the Spaniard’s Bay man) Mullock replied by blaming Protestants for disrupting the peace of Newfoundland. He then preached a political sermon in his cathedral, comparing George Furey, the man killed at Cat’s Cove, with Jesus Christ. Such allegations and statements were regarded by Henry Winton’s Public Ledger, the leading Protestant Conservative newspaper, as inflammatory. At the opening of the assembly on 13 May 1861 the combined efforts of the military and some of the Roman Catholic clergy could not quell the riot which broke out. The tumult raged for four hours and was only ended by the soldiers opening fire and Mullock summoning the crowd to his cathedral by ringing the bells. Dressed in full pontificals, he exacted from the crowd a promise of good behaviour, and exposed for their veneration the Blessed Sacrament. Never was his power more clearly shown, but he had exercised it only when the rioting had been revealed as politically and practically disastrous, not four hours earlier when he might have curbed the disorders. For several days violence continued. Bishop Feild was stoned, his theological college was partly burned, and Hoyles’ summer cottage was destroyed. The returning officer at Harbour Main was punished by a mob for not having given the verdict to the clerically supported candidates, and threats of looting and violence were made at Harbour Grace. But Mullock made no attempt to restrain his people; indeed later in 1861 he encouraged popular discontent by initiating a petition to the British government for the removal of Bannerman, though Kent, Shea, and most of the Roman Catholic clergy refused to sign. 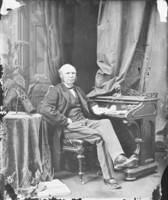 The Record, popularly regarded as the voice of Mullock, threatened civil war if Bannerman sent troops to Harbour Grace for the by-election in November 1861. Bannerman, however, ensured a peaceful election by doing so. In a pastoral letter Mullock declared himself in favour of peace and order and repudiated the Record. The Conservatives were returned with a large majority. Mullock was defeated, but his desire to direct politicians did not end. When the men of Cat’s Cove, who had been imprisoned after conviction for manslaughter, were released by Bannerman early in 1862 in response to a petition signed by Kent, Shea, and many other prominent Liberals, Mullock angrily put Cat’s Cove, where Furey had been “murdered,” under his episcopal ban. No Mass was to be said and no sacraments administered for a year. Mullock had gone too far, and his political influence suffered a sharp decline. Henceforth widespread clerical intervention was rare in the politics of Newfoundland. Sectarianism underwent a temporary decline and wealthy Roman Catholics gravitated towards the Conservatives. Mullock continued to rumble like a dormant volcano, but could safely be ignored; although critical of their actions, he never tried to upset governments. He began to live down the reputation he had gained among Canadian Roman Catholic bishops as “a firebrand and disturber of the peace.” Instead, describing local politics as a “disreputable struggle for place, not principle,” he advocated almsgiving, sobriety, and hard work as remedies for the depressed state of society. When the people of Burin and Placentia attacked users of cod seines he denounced violence and reminded them that “the powers that be are ordained of God.” When confederation with the other British North American colonies became a political issue, he gave no guidance to his people, beyond a few ambiguous observations. His death after a long illness came in 1869, well before the crucial election of that year which decided that Newfoundland should not join Canada. His funeral was an impressive occasion. The governor, Sir Anthony Musgrave*, attended the Requiem Mass, all shops closed in St John’s, and all flags were at half-mast. The St John’s Daily News, not a pro-Roman Catholic newspaper, commented that “He was universally loved and esteemed by the whole community for his amiable and kindly disposition.” This eulogy, though truthful in part, seems to overlook the fact that in the island’s politics he had been rash and not too scrupulous. Nevertheless he was widely respected for his real achievements and in private was often regarded with affection. He did much to enhance the self-respect and independence of the Roman Catholic community of Newfoundland. He made several episcopal visitations to remote parts of Newfoundland. When he became bishop there were 46,785 Roman Catholics in Newfoundland, and when he died there were 60,567. He found 24 priests and left 35. 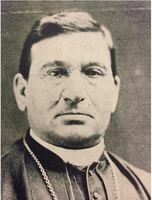 His political activities sprang from generous motives: “It is the duty of a Bishop to aid and advise his people in all their struggles for justice.” This maxim led him to spur on his co-religionists to demand responsible government, to denounce Liberal politicians when they betrayed him, and finally, in indignant outbursts, to condone extremes of violence against a Protestant-led government. Yet realizing the error of such a strategy, in later life he threw his influence on the side of law and order. J. T. Mullock was the author of The Cathedral of St. John’s, Newfoundland, with an account of its consecration . . . (Dublin, 1856); Circular letter . . . to the clergy and laity of the diocese of St. John’s, on his return from the Eternal City, where he had been on the occasion of the canonization of the Japanese martyrs (St John’s, 1862); The life of St. Alphonsus M. Liguori . . . (Dublin, 1846); Rome, past and present; a lecture, delivered in St. Dunstan’s Cathedral, Charlottetown, Prince Edward Island, on Thursday, August 16, 1860 (Charlottetown, 1860); A sermon preached . . . in the Cathedral of St. John’s, on Friday, May 10th, 1861 (St John’s, [1861? ]); Two lectures on Newfoundland, delivered at St. Bonaventure’s College, January 25, and February 1, 1860 (New York, 1860), the first of which was published in Lectures on Newfoundland ([St John’s, 1860]). He also translated A. M. de’Liguori, The history of heresies, and their refutation; or, the triumph of the church (2v., Dublin, 1847; 2nd ed., 1857). Archives of the Archdiocese of St John’s, E. Morris, diaries, 1851–70; J. T. Mullock, journals and diaries, 1850–69. PAC, MG 24, B51. PRO, CO 194/116–92. University of Nottingham Library (Nottingham, Eng. ), Newcastle mss, letterbooks, 1859–64; colonial correspondence, 1849–64 (mfm. at PAC). R. B. McCrea, Lost amid the fogs: sketches of life in Newfoundland, England’s ancient colony (London, 1869). Newfoundlander, 1848–69. Public Ledger, 1848–69. 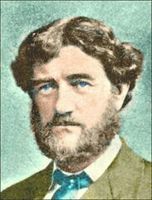 Greene, “Influence of religion in the politics of Nfld., 1850–61.” Frederick Jones, “Bishop Feild, a study in politics and religion in nineteenth century Newfoundland” (unpublished phd thesis, Cambridge University, 1971). MacNutt, Atlantic provinces. E. C. Moulton, “The political history of Newfoundland, 1861–1869” (unpublished ma thesis, Memorial University of Newfoundland, St John’s, 1960). Prowse, History of Nfld. (1896). E. A. Wells, “The struggle for responsible government in Newfoundland, 1846–1855” (unpublished ma thesis, Memorial University of Newfoundland, St John’s, 1966). E. B. Foran, “Right Reverend Doctor Mullock, bishop militant . . .”; E. P. Roche, “The Right Reverend John Thomas Mullock, D.D., 1807–1869. . . ,” The centenary of the Basilica-Cathedral of St. John the Baptist, St. John’s, Newfoundland, 1855–1955, ed. P. J. Kennedy ([St John’s, 1955]), 233–46 and 222–32. Frederick Jones, “Bishops in politics: Roman Catholic v Protestant in Newfoundland, 1860–2,” CHR, LV (1974), 408–21. Frederick Jones, “MULLOCK, JOHN THOMAS,” in Dictionary of Canadian Biography, vol. 9, University of Toronto/Université Laval, 2003–, accessed April 24, 2019, http://www.biographi.ca/en/bio/mullock_john_thomas_9E.html.